Carnival madness requires proper outfit and haircut. As far as in first case the crazy touch is easy, hair colourisation is not a temptation for everyone. If you are afraid of permanent dye, semi-permanent colourisation will be perfect for you. Meet the best method for snazzy haircut. 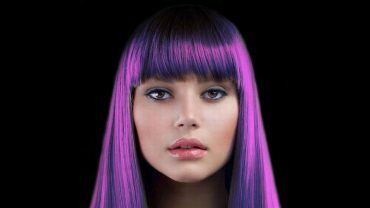 This is a solution ideal when you want to go crazy with bloody red, vibrant green or vivid pink hair. Semi-permanent dye allows you achieve really intense colour, while being a short term solution. The colour is rinsed after 6-10 hair washes, while the choice of shades is really wide. La Rich’e Directions has in its offer 28 juicy shades. Even less permanent solution is colouring spray. You can change your appearance extremely, but the effect lasts only a day. Spray leaves your hair with vivid colour, and the gamut is truly enormous. It can be used also as a stylisation cosmetic, because it visibly makes hair stiff and matte. The dye will come off after first hair wash and is easy to brush off. Glossy hair with intense and unique colour can be obtained with colouring hair mask. Revlon Nutri Color offers several dozens of shades (including white, golden, pink or straberry). Just apply doze of hair mask after washing your hair, wait 3 minutes and rinse it. Colour will stay for 3-10 rinses. Vibrant colours with one stroke of applicator. Medis Sun Glow Mascara is a hair mascara in eight interesting colours. It is ideal to highlight individual strands. Shimmering effects washes down after one hair wash. Unfortunately, hair mascara is not suitable for colourisation of entire hair – it would take too long and hair can be too stiff. Three effects with one mousse? Firstly, colour change into one of deep and glossy colours. Secondly, easy stylisation. Thirdly, nourishment and hair protection against unfavourable factors, like hair dryer. Indola Profession Color Style is a colouring mousse, applied on washed hair prior to stylisation. Provides one time effect. An innovative method for colour change and colour highlight is hair pigment. In a handy tube is placed formula, which in mixing with shampoo and hair mask changes hair colour of normal and damaged hair. In the Alfaparf Pigments offer are several juicy colours, which stay on hair for few hair washes. Rainbow Colourisation. 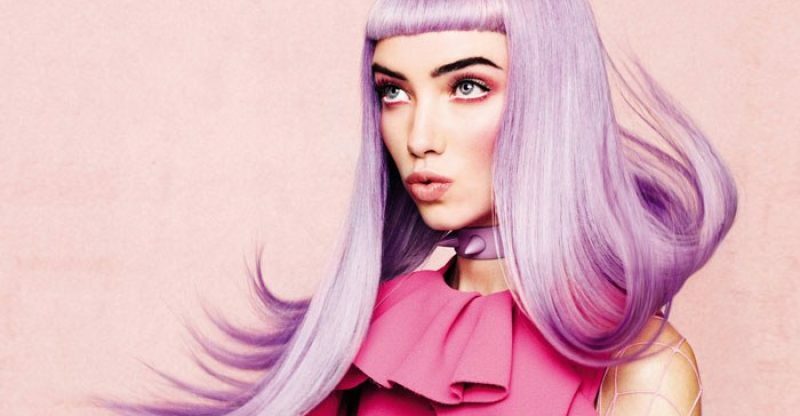 Will colourful hair suit you?